Gilgeous-Alexander produced a quality stat line despite his inefficient shooting performance. Moreover, he logged a team high minute total, so it's clear coach Doc Rivers trusts the rookie. Gilgeous-Alexander has his hands full dealing with Golden State's backcourt, but he's certainly not backing down. 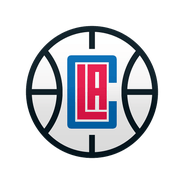 Gilgeous-Alexander totaled 20 points (10-19 FG, 0-4 3Pt), eight rebounds, six assists, one block and one steal over 37 minutes in the Clippers' loss to the Lakers on Friday. Gilgeous-Alexander had a solid all-around stat line in Friday's loss, producing healthy totals across the board. He's been on an offensive hot streak recently, hitting 20 points for the fourth time in his last five games. Gilgeous-Alexander produced 8-16 FG, 1-3 3Pt, 3-5 FT), four rebounds, four rebounds and two steals across 33 minutes in Wednesday's 135-103 loss to the Rockets. While SGA hasn't produced many eye-popping totals, his production has steadily trended up throughout the season. He's posted double-digit scoring totals in 15 of his last 17 games, and while he doesn't post as many assists as a typical point guard might on a regular basis, the 19-year-old will continue to develop that aspect of his game as the Clippers' floor general of the future. Gilgeous-Alexander scored 22 points (9-12 FG, 3-3 3Pt, 1-2 FT) while adding eight assists, two rebounds and a steal in 28 minutes during Saturday's 132-108 win over the Cavaliers. He came away the victor in a battle of rookie point guards with Collin Sexton, and SGA continues to build momentum with the playoffs looming. The 20-year-old has scored in double digits in 14 of the last 15 games, topping 20 points in each of the last two, and Gilgeous-Alexander is averaging 14.6 points, 4.3 assists, 3.1 boards, 1.3 three-pointers and 1.2 steals over that stretch.